ON Magazine is the Lifestyle Magazine Powered by JPS! 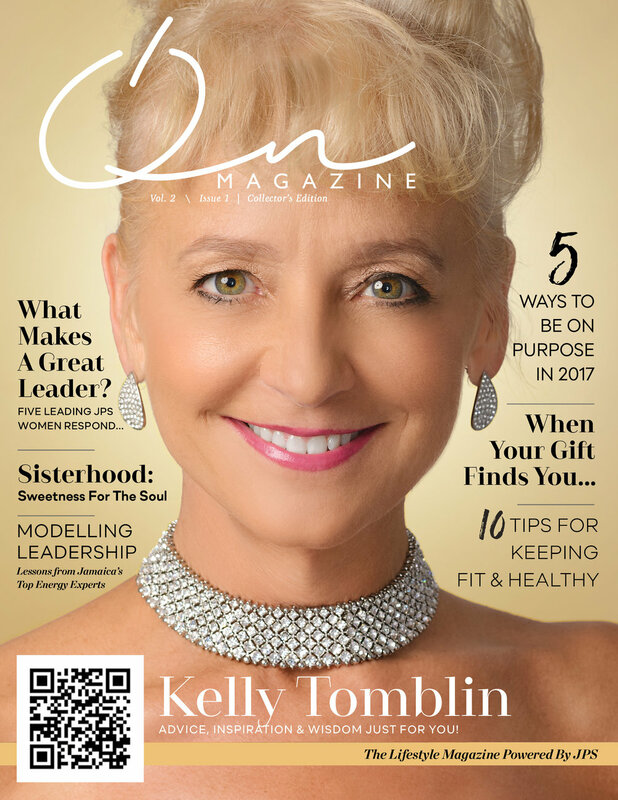 This year's issue is a true Collector's Edition filled with great stories from amazing women in Jamaica including covergirl-JPS President & CEO, Kelly Tomblin who shares words of advice and wisdom. Other great reads include: 5 Ways To Be On Purpose by Krystal Tomlinson; Sisterhood: Sweetness For Your Soul by Ruthlyn Johnson; 10 Tips For Keeping Fit & Healthy by Kamila McDonald and so much more. Do Enjoy!